This working cattle (well, bison) Ranch is a Nature conservancy that invites guests to come and learn the lay of the land and give you a chance to be a real life cowboy. Their intent is to maintain the lands biodiversity while keeping the ranching heritage of the West alive. At Zapata Ranch, as well as living out your childhood dreams, you have the opportunity to attend nature and photography workshops, horseback and driving tours to spot wildlife and see how bison work the land to help the preservation of other species. The ultimate accommodation for an unusual luxury holiday in Colorado. Zapata Ranch is located between the mountain peaks of the Sangre De Cristo Mountain Range and the Great Sand Dunes National Park in south west Colorado. The diversity of the landscape means spectacular panoramic views and, depending on which way you’re facing, can make you feel like you’re in different parts of the world without having to go anywhere. 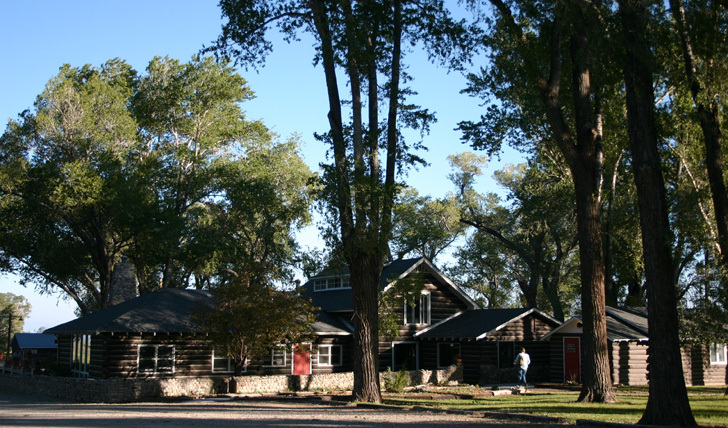 The Zapata Ranch has three main buildings each of which have five rooms with full bathrooms. The Zapata Inn is the renovated original ranch house from 1800. It houses a cosy living room with a fireplace, kitchen and dining room and there is an outdoor spa bath where you can relax your weary muscles at the end of an adventurous day. The Bunkhouse is a purpose built log cabin with airy windows. 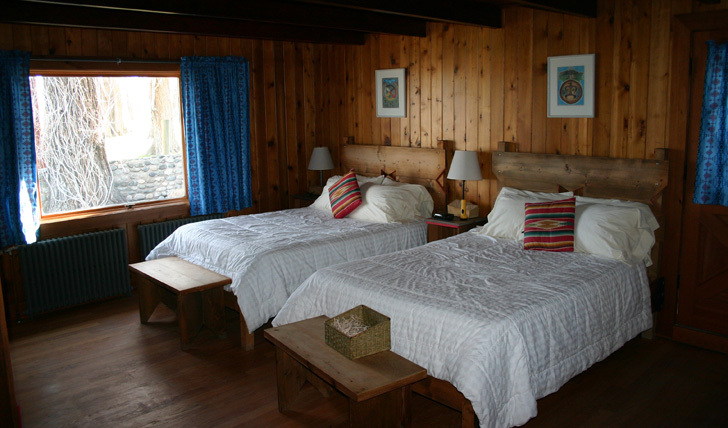 One of the rooms is a suite complete with living room and wooden stove. The Stewart House is the more private of the three as it is set just a short walk away from the other buildings. It also has a living room with a fire place and a kitchen. Each building feels like an authentic ranch abode. You can learn the art of ranching from real cowboys – that’s their actual job. For the outdoor fanatics there are overnight pack trips where you explore the far reaches of the ranch and sleep under the stars. It couldn’t be further away from city life.